One of two magazines published to accompany the film, this by Sounds magazine with words of wisdom from Garry Bushell. 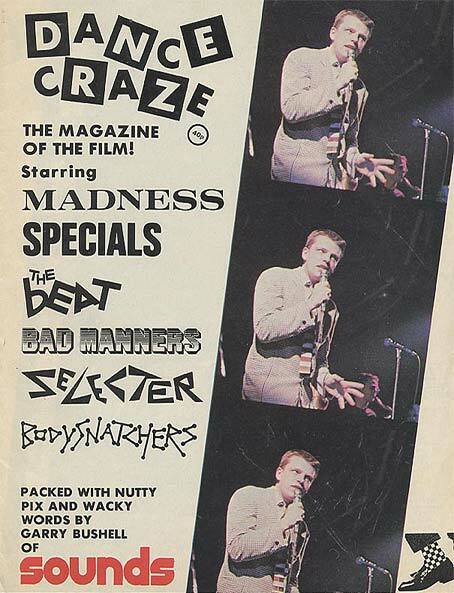 Of the 2 magazines which were issued to coincide with the release of Dance Craze this one is by far the most informative. Written by then Sounds journalist, Garry Bushell, it offers an insight to each of the bands featured in film, along with a brief history of ska and positive write up on skinheads. Although he recalls an early encounter of The Specials, who were supporting The Clash at the time, the author admits he wasn’t initially that impressed with the embryonic fusion of punk and reggae. 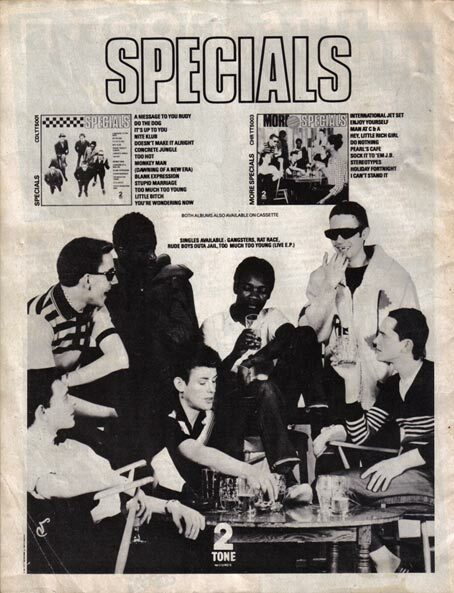 This was soon to change as Garry Bushell was one of the first journalists to pick up on the 2 Tone phenomenon and it is obvious from reading the magazine that he was also a huge fan of both the label and its achievements. A great section on Bad Manners sees Buster recall how his overactive bowels put an end to his famous white boiler suit and how Chris Foreman from Madness once challenged the fat man to a Big Mac eating contest. Also included in the magazine are discographies (which were up to date at the time of publishing) of each of the featured bands plus press ads for the likes of ‘More Specials’ and The Congos album ‘Heart of the Congos’, released on The Beat’s Go-Feet Records.